Technique: This is a meditation wherein the mantra or a word of power is vibrated (chanted) during the meditation. I’ve found it’s best to have a very quiet, private space for this because it will drive some spouses, roommates, neighbors etc… bonkers. 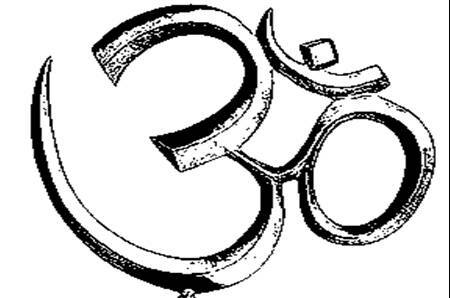 A lot of people think of the word OM or AUM when they think of mantra type meditation, and that would be correct. OM is a solid example of this. See Meditation resources below. So how do you know what to chant? Some people just choose a power word. Or they will chant or vibrate a SHORT invocation, like a Daemonic Enn. Or perhaps they have more than one word of power that they alternate between. The possibilities here are endless. My Meditation: I am a power word alternator. I will move between invocation, power words, and personal power phrases during the meditation. It’s not important the words I use, as they’re sacred and personal to me. What’s important is that you use words that are sacred and personal to YOU. Meditation Resources: OM is one of the most popular examples of a mantra-type meditation. Thoughts: This is always an invigorating meditation for me. I felt energized and renewed. I chose active power words and invocations that built energy. At night, I might use more calming words and invocations, and seek to draw water instead of fire. Always consider correspondences like that during meditation to accomplish exactly what you want the meditation to accomplish (calming, invigorating, mindful, etc…). It works just like magick in that sense. This entry was posted in meditations, Spirituality, the writing life and tagged energy work, mind over matter, vibration by Steph. Bookmark the permalink.